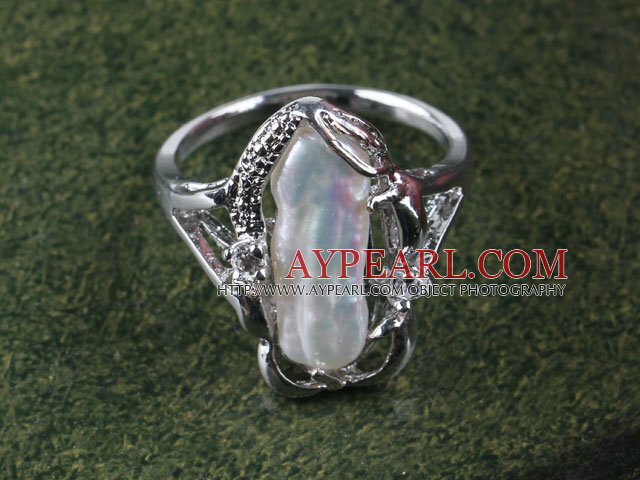 We can supply gorgeous natural white Biwa pearl freesize ring with comparable price. 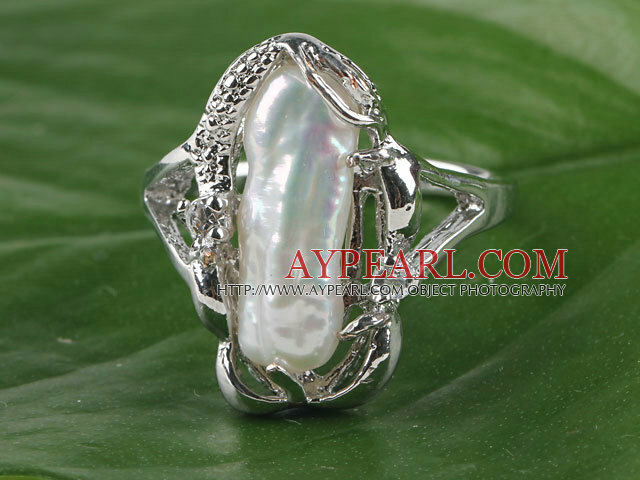 Welcome to wholesale gorgeous natural white Biwa pearl freesize ring from Aypearl.com!!! See other " freesize " items. Item like H53 do not have standard size, it's free size, fit for even large size lady. Bonjour, comment choisir la taille de la bague ? Vilken metall använder ni för såna typ av smycken? våra spännen, berlocker och tillbehör på våra produkter är legering sådana, som är gjorda av järn, koppar, aluminium och så vidare. Vi kan ändra spännen i sterlingsilver om du betalar extra. Allt material på våra produkter har testats passar för alla människor, inte skadligt för hälsan, beställ hos oss ordentligt. Do you have size 8 and 9? As for item H53, we only have in size 10*18mm. Usually this size can fit for most of the lady to wear. HI, DO YOU THIS RING IN SIZE 6. THANKS FOR YOUR ANSWER. Sorry,this ring is average size and the radius of it is about 10mm. Is this set in stirling silver? 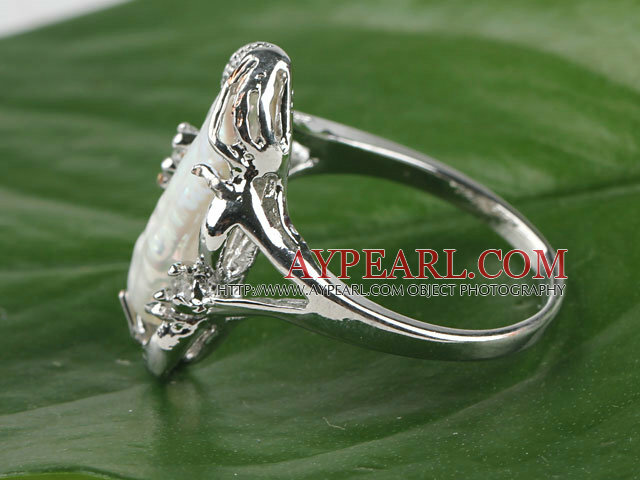 No, it is not sterling silver ring, it is just silver color but metal ring. is this american sizing? Size 10 is your smallest size which would be very large? Please advise. the lenth is 18mm, this is not adjustable, wish you can check before you order it.